(Paulding County, GA) In June of 2017 Detective Sergeant Lenny Carr, of the Paulding County Sheriff’s Office Crimes Against Children Unit, met with a complainant who presented what appeared to be a diary created by suspect Timothy Sprenger (W/M, 31 YOA). Sprenger, who formerly lived in North Dakota, is now a resident of Paulding County, Georgia. After examination of the diary, which had been torn into pieces and taped back together, it appeared that Sprenger had documented multiple incidents of child molestation against children age 6 months to approximately 2 years old. After further examination of the document, it appeared that these incidents occurred several years ago in North Dakota. Sergeant Carr was able to identify one of the victims (now age 12) and locate the mother in North Dakota. After verifying that the timeline of the incidents matched up, authorities with the Minot Police Department (North Dakota) were notified. Detective Krista Cousins identified and located the other victim (now also 12 years old) and the parent who also lives in North Dakota. Sergeant Carr then interviewed Timothy Sprenger and obtained a full confession of the incidents and also additional acts not listed in the documents. As a result of the interview, Detectives did not obtain any information regarding any incidents possibly occurring in Paulding County or the State of Georgia. On September 22, 2017 the State of the North Dakota issued criminal warrants including full extradition for one count of Gross Sexual Imposition and one count of Continuous Sexual Abuse of a Child. 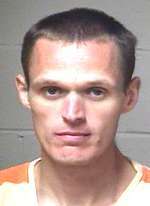 Sprenger was arrested by the Paulding County Sheriff’s Office Warrants Division on the same date. He also waived any extradition proceedings and on October 5, 2017 he was transported back to North Dakota. Sprenger has been arraigned and is currently being held on a $1,000,000 bond in the Ward County Jail (North Dakota). I'm glad someone turned him in. I hope he burns in hell!